We offer swimming pool pump repair services to keep your Hickory pool clean, cool, and safe. Swimming Pool Pump Repair in Hickory – The pool pump is a vital part of your swimming pool. Like a beating heart, the swimming pool pump keeps water moving smoothly through the system, ensuring vital chemicals are dispersed and filtering is maintained. When your pump begins to experience troubles, it doesn’t take long for you to notice. That can be due to faulty connections, loss of power, and more. If you start to notice that your pool pump isn’t working like it should, contact us at S & H Pools for all your swimming pool pump repair needs.There are several indications you may be in need of swimming pool pump repair services. Here are just a few signs to watch out for. If you notice any of these problems, shut off your pump and contact our expert team as soon as possible. At S & H Pools, great service is our responsibility! Since 1973, we have been working tirelessly to keep Hickory, North Carolina pools clean, cool, and safe. 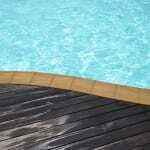 Our services include everything your residential or commercial pool might need from start of season to close of season. We love pools, and ensuring yours is providing everything you want and more is our specialty. We are dedicated to offering high-quality products from the area’s most reliable source. Contact us today to learn more about our many pool services, including swimming pool pump repair.